Cardiotoxicity is a major hurdle for all drug discovery programs and so I'm always interested in ways that any potential liabilities can be flagged without the need to go into whole animals. A recent publication highlights progress in developing a novel model system. Human induced pluripotent stem cell-derived cardiomyocytes were cultured as a model system, and used to validate the platform with an excitation–contraction decoupling chemical. Preliminary data using the platform to investigate the effect of the drug norepinephrine are combined with computational efforts. 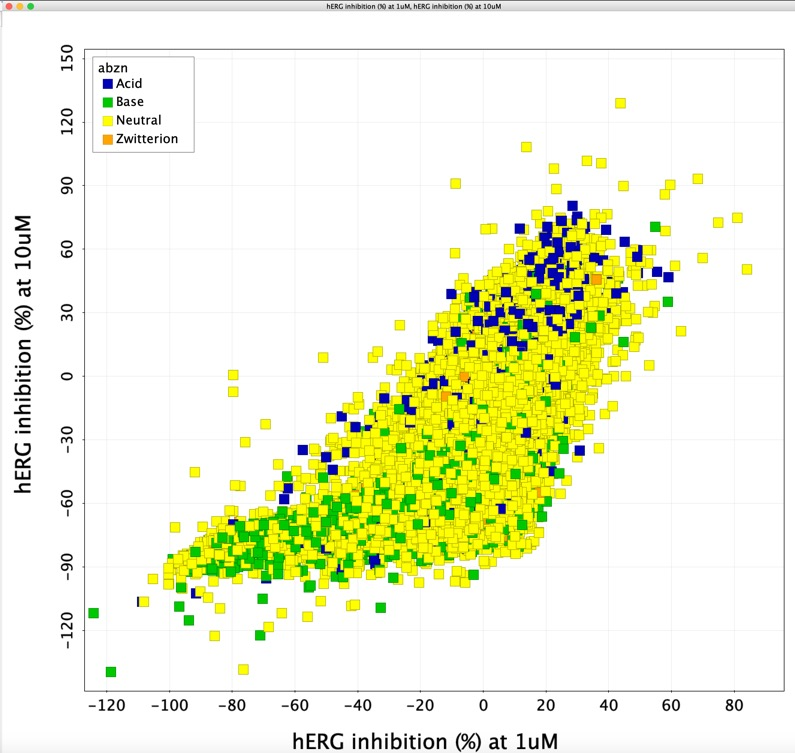 This platform provides a quantitative and predictive assay system that can potentially be used for comprehensive assessment of cardiac toxicity earlier in the drug discovery process. DOI. Sadly it appears that the latest craze to sweep social media is the Paracetamol Challenge in which people (usually children) are encouraged to consume large amounts of the over the counter analgesic paracetamol (called acetaminophen in North America). One of the particularly insidious features of paracetamol toxicity is that individuals may display little or no symptoms in the first 24h, it is only later when increasing liver damage has occurred do the more serious symptoms become apparent. At normal therapeutic doses paracetamol the main route for clearance is by Phase II processes including conjugation to form the glucuronide or sulphate followed by renal clearance. At higher doses however, paracetamol is oxidised by CYP450 enzymes in the liver to a highly reactive intermediary metabolite, N-acetyl-p-benzoquinoneimine (NAPQI). 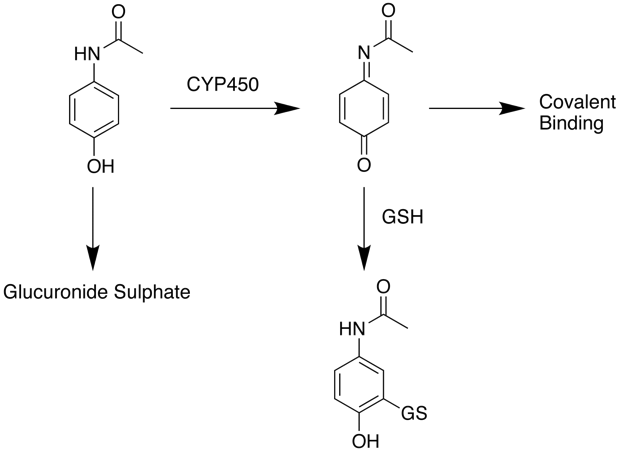 NAPQI can be detoxified by conjugation with glutathione (GSH) to form cysteine and mercapturic acid conjugates however this pathway has limited capacity and once supplies of glutathione are exhausted if NAPQI remains it can react covalently with biomolecules resulting in widespread hepatocyte damage and death, leading to acute hepatic necrosis. Without treatment this progresses to irreversible liver, kidney failure followed by multiple organ failures. If caught within an hour of ingestion gastric lavage may be used to remove any drug that has not yet been absorbed, at later stages N-acetylcysteine can be administered. This works to reduce paracetamol toxicity by replenishing body stores of glutathione (GSH). However N-acetylcysteine needs to be administered before liver damage has occurred, if given more than 8 hours after ingestion of paracetamol it's effectiveness is reduced. If patients develop hepatic failure or who are otherwise expected to die from liver failure, the mainstay of treatment is liver transplantation.